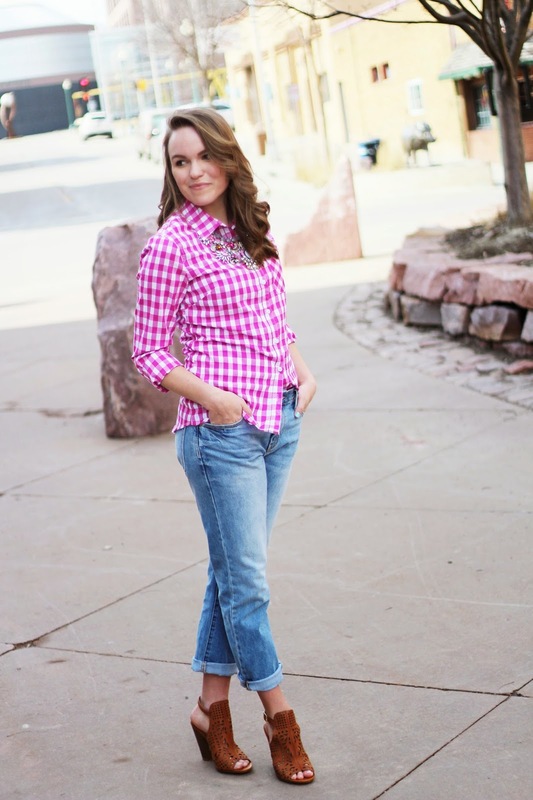 One fashion trend I have never tried before is gingham…something about the print always made me nervous. However, I decided to give it a try when my favorite boutique downtown got these adorable shirts in! 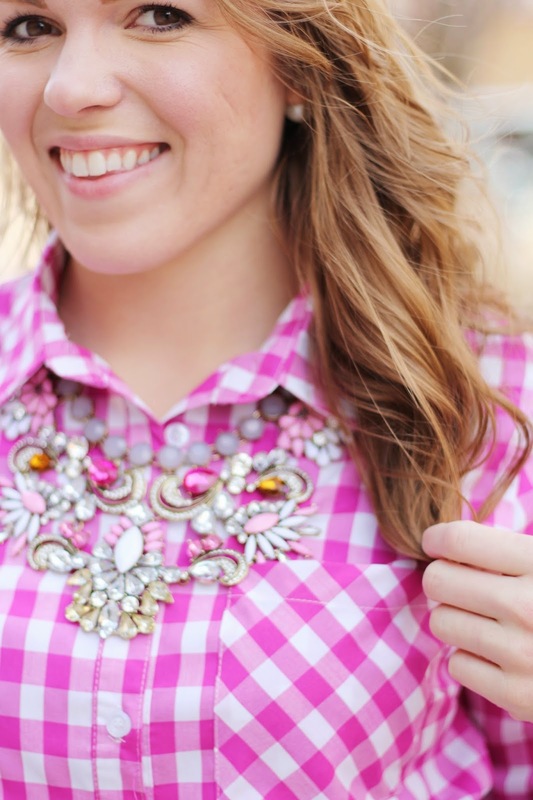 I love the pink gingham and it looks even cuter with a bold statement necklace. It's finally starting to feel like spring here is South Dakota (high 60's to high 70's!) 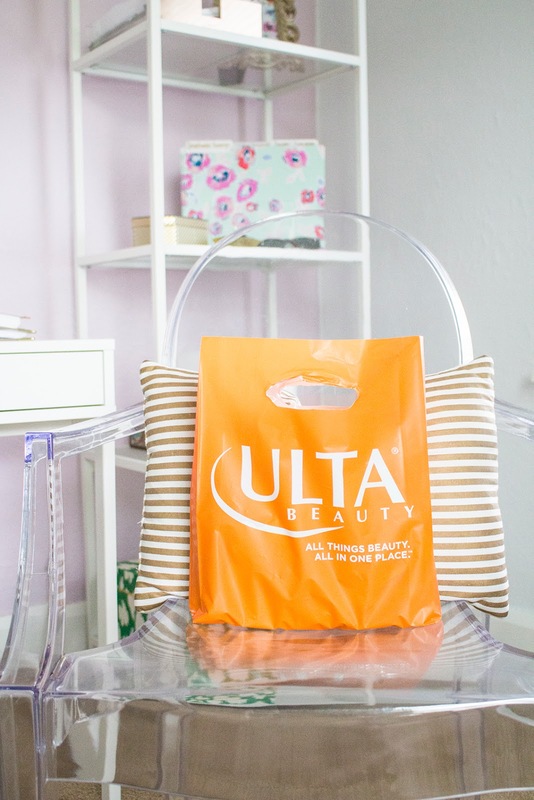 and there is nothing I love more than pulling all of my spring clothes towards the front of my closet. 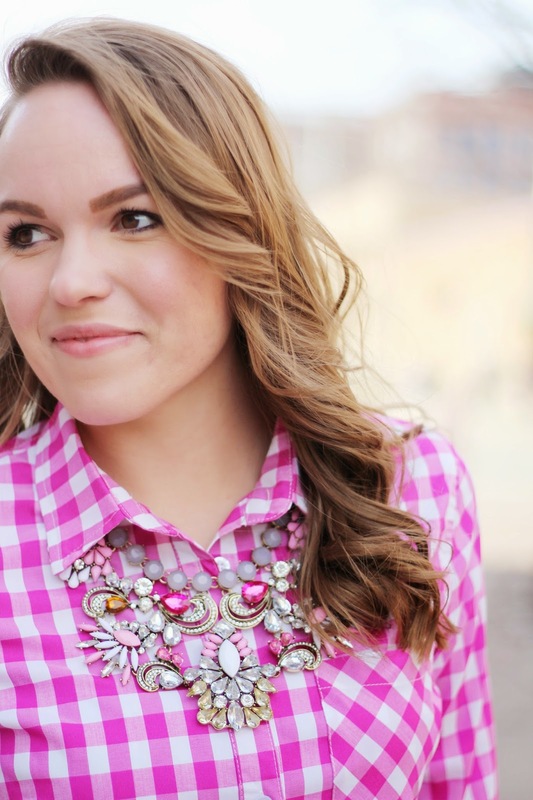 I am on the search for some basic spring pieces and this top is a good start; because let's be honest, gingham, florals, and pastels will never go out of style. At least not in my book:). 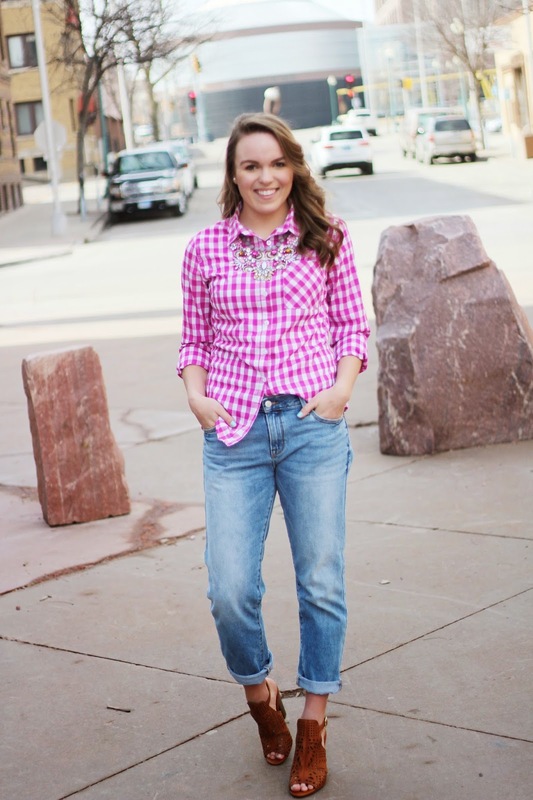 Gingham Shirt // Boyfriend Jeans // Sandal Heels (Lot2029) // Statement Necklace (Lot2029) // Earrings // Essie's "Blossom Dandy"
Unfortunately the shoes and necklace aren't up on the website yet but as soon as they are I will let you know!! Those shoes are amazing! I love the shirt with the necklace- totally glams it up! You look so cute! 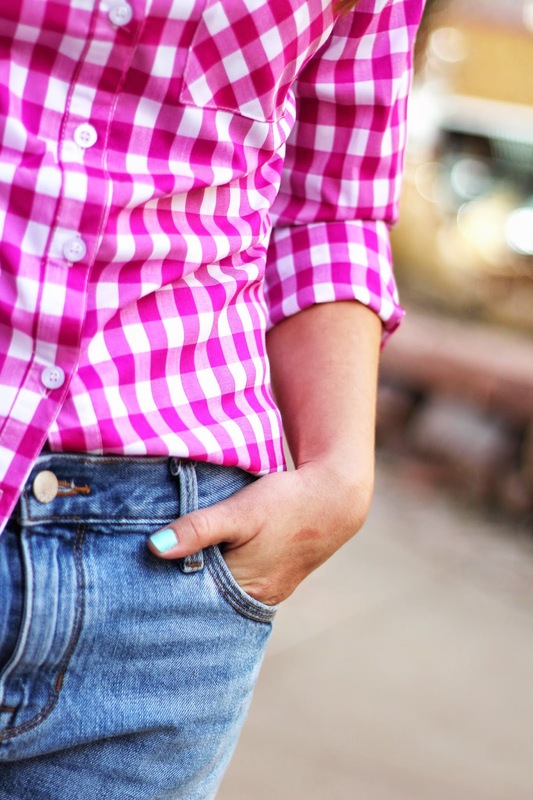 I love gingham so much! And that necklace - killer! Thank You!! Gingham is for sure my new fave!